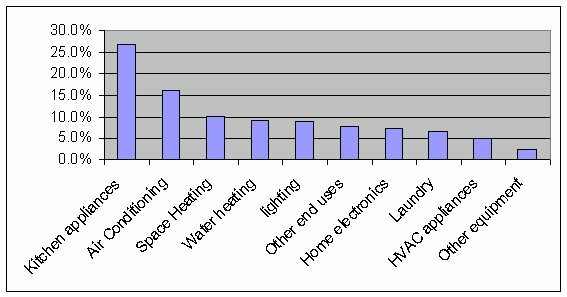 American households spend a significant amount of money on heating and cooling of our homes as well as electricity to run our appliances, power out TVs and heat our water. 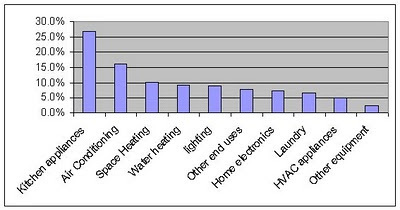 I thought it would be interesting to look at energy consumption and usage for U.S. households in general. Primary heating fuel usage varies a lot from state to state. The census has data on house heating fuel by state. The BLS.gov Consumer Expenditure Survey will give us data on the average spending per household. In 2009 spending was $483 for natural gas, $1377 for electricity and $141 for fuel oil and other fuels. Of course not all houses spend money on all of these. Note: The figures here do not include energy used for automobiles, industrial or commercial uses so the national usage figures will be much higher.